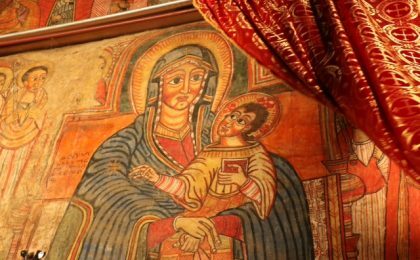 Ethiopia is one of the oldest Christian countries, predating Constantine’s conversion of the Roman Empire, and the Tewahedo Church is the world’s largest Oriental Orthodox Church. 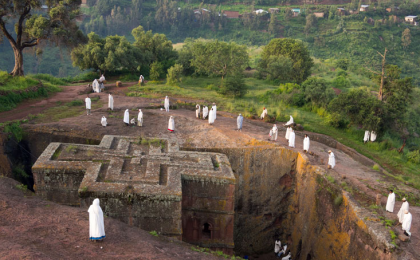 We visit the rock-cut churches of Lalibela, the African Jerusalem. 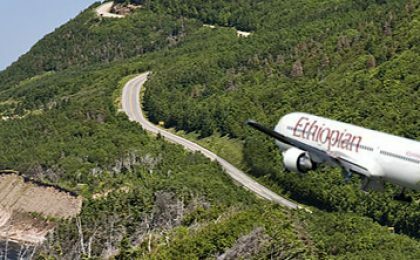 Overnight Ethiopian Airways direct flight departs Heathrow at 2130 to Addis Ababa. 0630 arrival. After checking in to our hotel with some time to relax, we take an orientation tour and visit the St Mary’s Church, the National Museum where we are introduced to the three million year-old bones of ‘Lucy’. 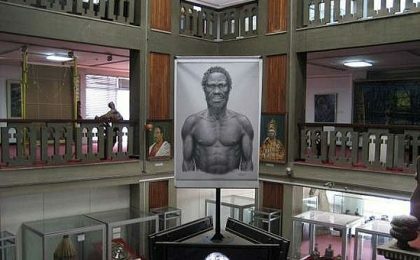 We also visit Trinity Cathedral, where Emperor Haile Selassie is buried and the Merkato (market). Overnight in Addis. This morning, a 90 minute flight to Mekele. 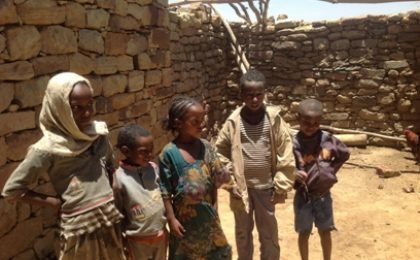 We drive to Wukro to visit its striking sandstone church and on to the cruciform church of Abraha Atsbeha. After lunch we drive on to Adigrat. Overnight in Adigrat. 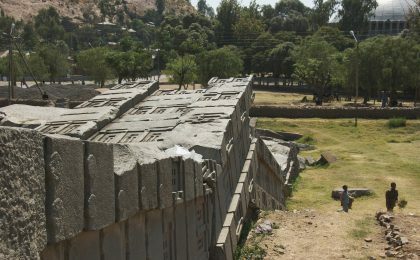 We continue to Axum, ancient capital of the land of the Queen of Sheba. Visit to the obelisks at Stele Field, Dongar Palace and the reputed resting place of the Ark of the Covenant in the Cathedral church of St Mary of Zion. Overnight in Axum. 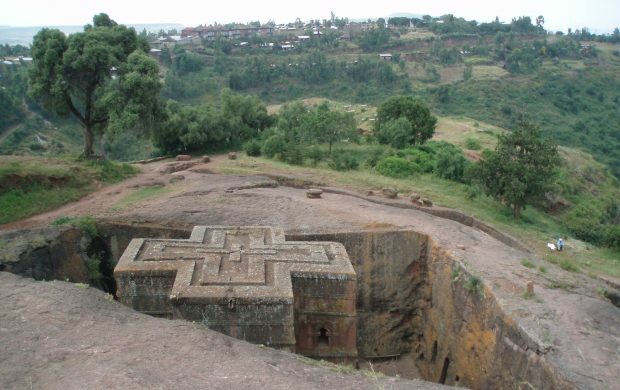 A 30 minute flight to Lalibela, one of the wonders of the world and called the ‘African Jerusalem’. We begin our visits to a group of 12th century rock-cut churches said to have been built ‘with the help of angels’. Time permitting, we will drive out to the little cave church of Na’akuto La’ab. Two night stay. We visit the Yemrehane Christos monastery in a beautiful isolated location, and then the second group of churches south of the Jordan river, representing the heavenly Jerusalem. 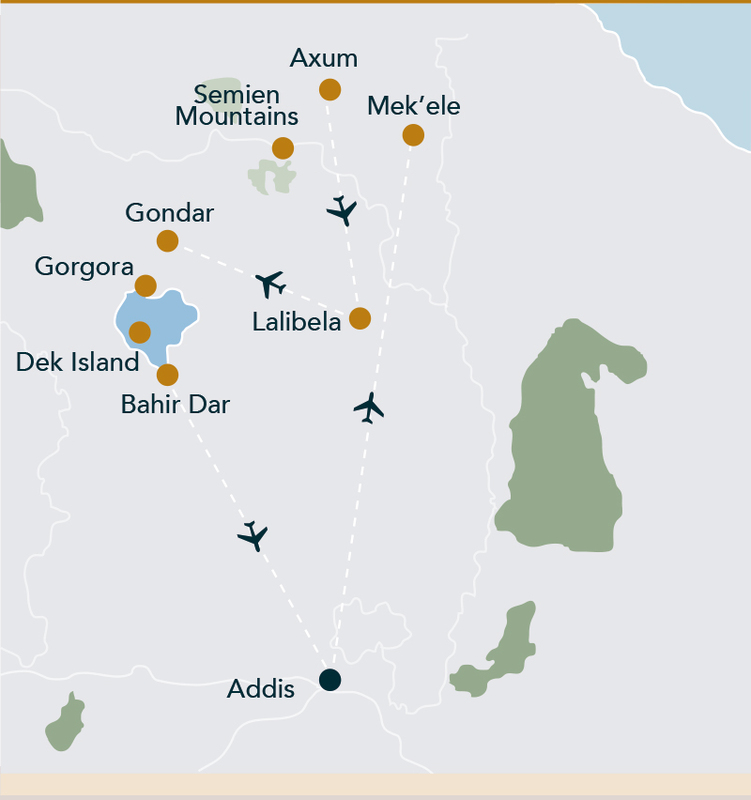 30 minute flight to Gondar, ‘the Camelot of Africa’ famous for its medieval castles and churches. 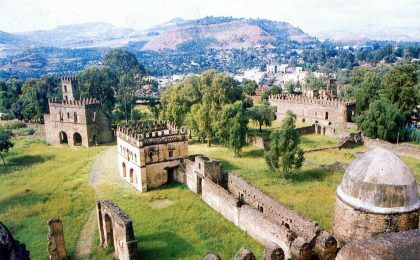 Our scenic tour features the Royal Enclosure of Fasil Ghebbi. Two night stay. 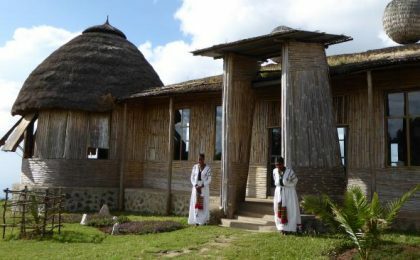 We then drive north of Gondar to the Befiker Kossoye Ecology Lodge which has fantastic views over the Simien Mountains. We walk to enjoy the views, celebrate Holy Communion in the open air and have lunch. In the afternoon we visit a Felasha village (formerly an Ethiopian Jewish village) to watch them making injura, the unique Ethiopian flat bread. A two hour drive to Gorgora on Lake Tana, the source of the Blue Nile. 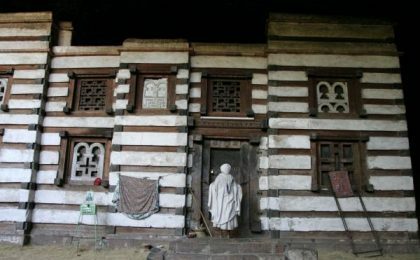 Here we visit the monastery of Debre Sina Mariam and sail to Dek island to visit Narga Sillasie monastery, continuing to the Zeghie peninsula to visit Ura Kidane Mihret. We then walk through the forest to visit Azwa Maryam Monastery before sailing on to Bahir Dar. Two night stay. 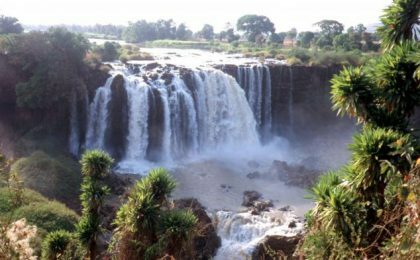 This morning we travel to the magnificent Blue Nile Falls, locally known as ‘smoking water’ because of the steam clouds and rainbows it creates. Afternoon visits to an Orthodox school of deacons beside Abune Hara Monastery, an important place of pilgrimage for Ethiopians from all around the country, and also to the JeCCDO agricultural project. Early afternoon one hour flight to Addis. Free time before our farewell dinner with culture show. Overnight stay. Ethiopian Airways departs Addis at 0900 arriving back at Heathrow at 1400. All meals are included. Lunches will feature local specialities, with a more international choice in the evenings. The McCabe recommended insurance policy is designed for the older traveller. 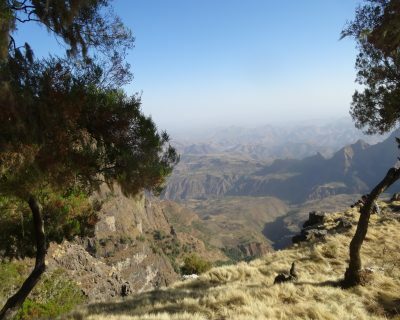 The premium for this pilgrimage to Ethiopia is £79. Travellers over 75 pay £119. We also recommend that older travellers obtain a note from their doctor stating that they are fit to travel. Do feel free to shop around as there are many suitable insurance options including annual policies on the market. We do insist that all travellers take out medical insurance. British passport holders require a visa which is issued on arrival at Addis Ababa Airport. The cost is currently USD 50 payable in cash on arrival. Please make sure your passport has six months validity and two blank pages. No inoculations are required but do remember to take any regular medications. 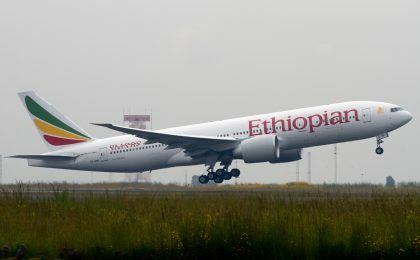 Direct flights from Heathrow to Addis Ababa on Ethiopian Airlines. Duration 7 hours. Ethiopia is only 3 hours ahead of UK time, so jet lag is not usually a problem. We recommend a Thursday departure, but other days are possible. 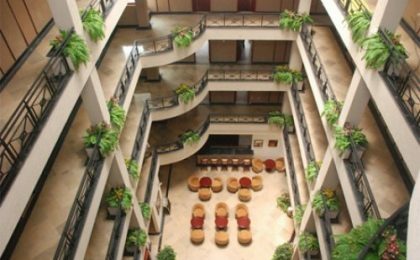 Addis has excellent hotels and we stay in a four star property close to the airport at the beginning and end of our holiday. Outside Addis we stay in best available hotels, all of which are of a very acceptable standard. Rooms have private facilities. You do not have to be super fit to participate in this tour, but expect a good deal of walking on uneven terrain and stair climbing. Be aware that Addis Ababa sits at an altitude of 2,500 metres: walking at altitude can be very tiring. If you have any heart or respiratory problems, please do ask your GP if this tour is suitable for you. Hotels generally cater well for western guests offering local as well as familiar dishes. Lunches are simple, perhaps wat (stew) accompanied by injara a unique type of Ethiopian bread, which looks like a pancake and is made from tef, a type of cereal found only in Ethiopia. Most dishes are lamb or beef based, but vegetarians are catered for, though the choice may be limited. Pasta and spaghetti dishes are also commonly available. Wednesdays and Fridays are traditional fasting days and restaurants usually only serve vegetable dishes. A popular Ethiopian dish is kitfo, which is minced meat that has been warmed, but not cooked. This is considered a delicacy in Ethiopia. If you have special dietary requirements, let us know and we will do our best to satisfy these, but we cannot guarantee that this will always be possible.